AISCL: How to repair missing CD / DVD drive. Repair Inaccessible CD / DVD drive. 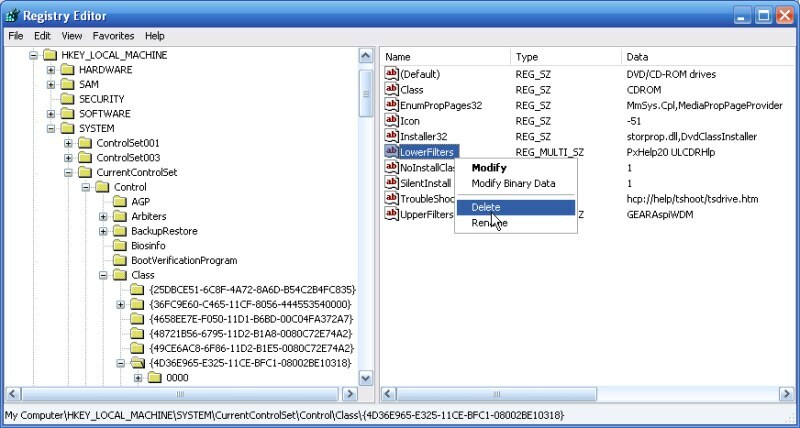 The mechanism for repairing this fault is to remove the appropriate registry entries to enable Windows to re-instate the correct values following a reboot. E-BFC1-08002BE10318} choose Export and save the file to your desktop, for example as cdinterface.reg. 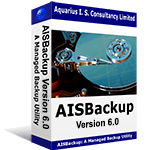 This registry backup may be restored by double clicking the saved registry backup file and choosing Yes in the unlikely event of an error. If the CD / DVD drive is working you may delete the file cdinterface.reg. Here is a screen shot of the delete LowerFilters instruction.